Ill-fitting dentures can cause more problems for Portland denture wearers than they solve. 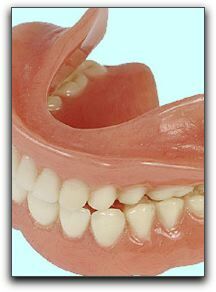 If you live with loose dentures, you probably regard them as a necessary evil. Though they certainly look better than a toothless mouth, in practical terms they leave much to be desired because they affect two essential activities: eating and talking. If you want more information about dental implants, call 503-905-3380 to schedule a consultation with Brian Westover DMD and Robert Kowal DDS. Brookside Dental is located at 9225 SE Sunnyside Rd Ste 1 in Clackamas. We have been providing advanced Portland dental care since 2011. Previous Previous post: Why do clackamas dentists like potatoes?